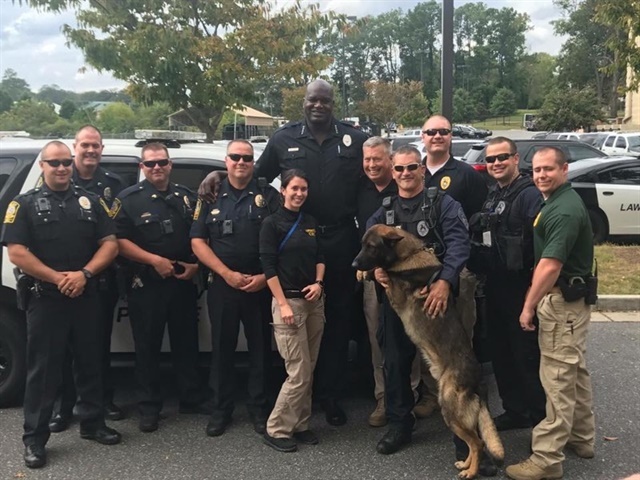 After days of responding to emergency calls due to Tropical Storm Irma, Lawrenceville, GA, police officers got a welcome surprise: Shaquille O'Neal at their headquarters. The former NBA star was at the Lawrenceville Police Department's headquarters to film a public service announcement about distracted driving. He stopped to pose for photos with the officers (and an equally excited K-9 officer), reports the Atlanta Journal-Constitution. "After a very long few days of responding to Hurricane Irma emergency calls, it was a nice quick break for a photo," the department wrote on its Facebook page.